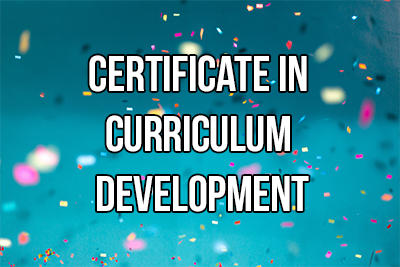 The Certificate in Curriculum Development is designed for teachers, educators and administrators who are or will be involved in curriculum development. Participants will learn to analyze, design, implement and evaluate curriculum in relation to an instructional system design. The program content includes elements and phases of instructional design, needs analysis and assessment, methods of instruction, curriculum development vs. instructional design, implementation, planning delivery, formative and summative evaluation.